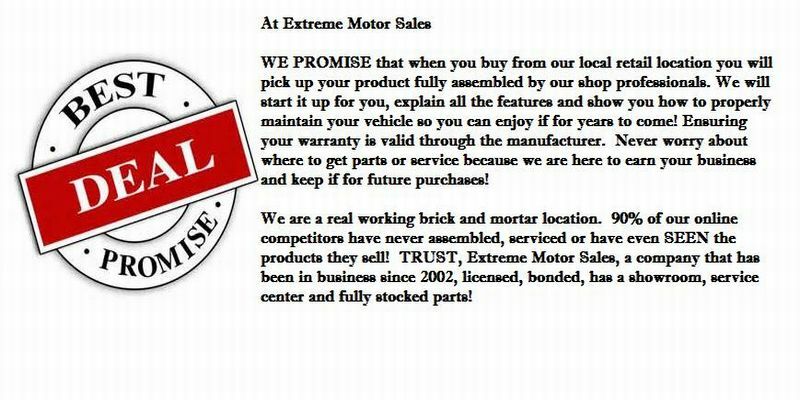 Extreme Motor Sales is the best dealer for kids and adult atv, dirt bike, go cart, scooter, trike, three wheel, motorcycle and more! 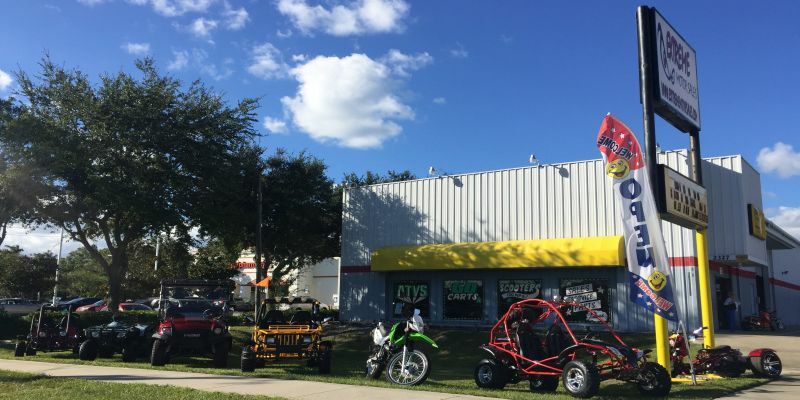 Located at 2327 E Semoran Blvd, Apopka, FL 32703 near Orlando Florida. We have a showroom full of exciting and new products. Do you need parts? We have those too. 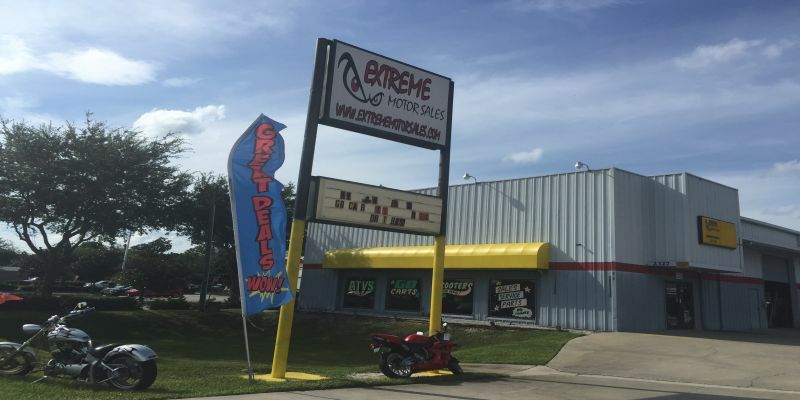 We offer gear, service and more! 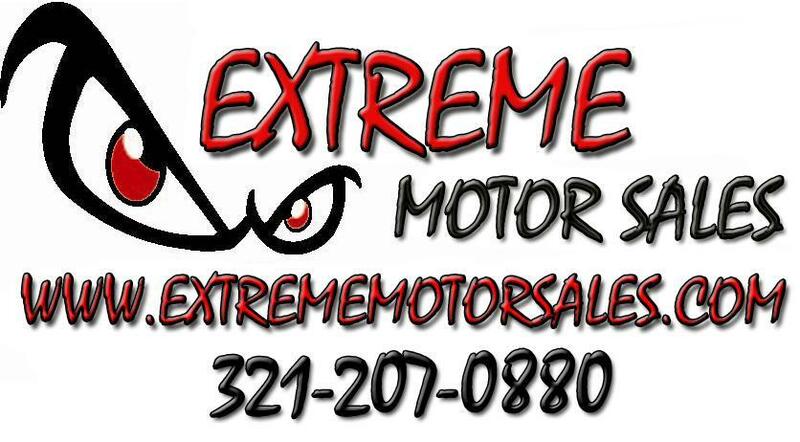 Stop by and see us and let us show you the Extreme Motor Sales difference! We offer No Credit Needed Financing and Low Credit score financing! 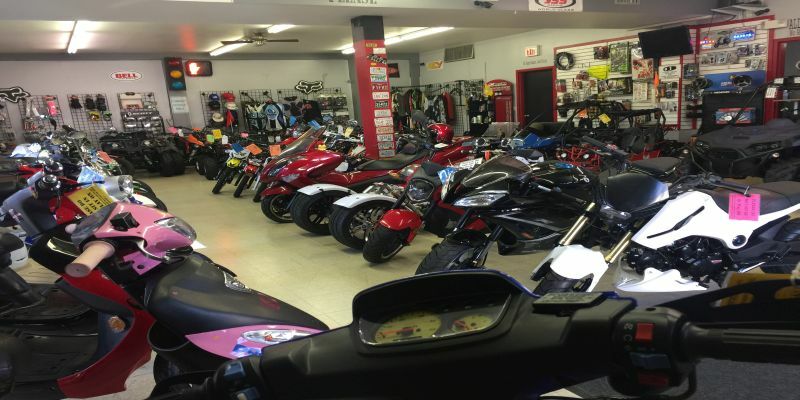 We have new inventory arriving weekly! 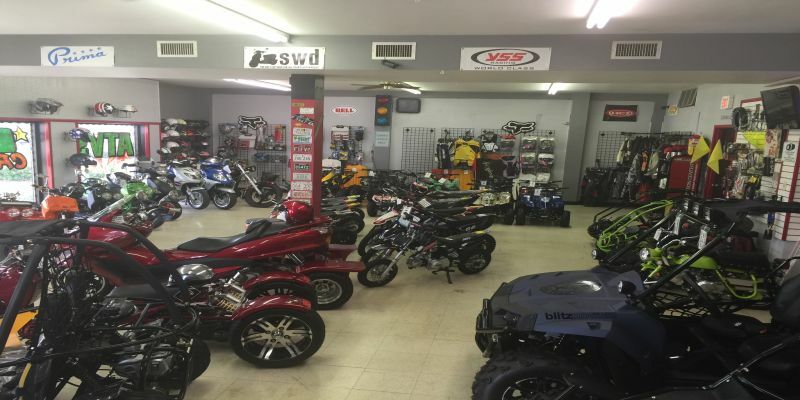 Stop in and see our new arrivals of Kids ATVs, Dirt Bikes, Go Karts, Scooters, and more! 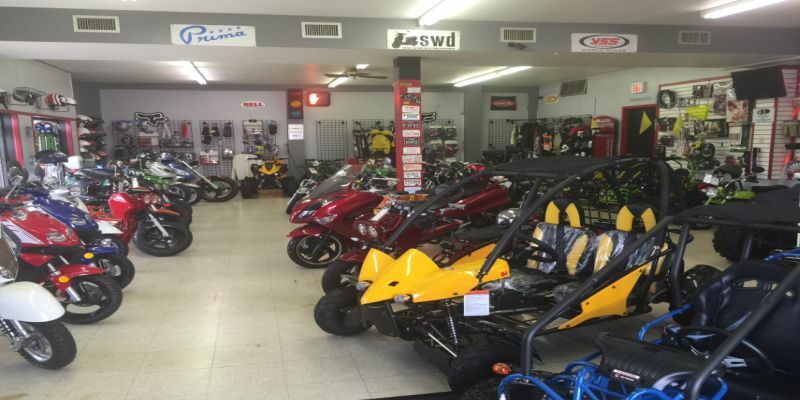 We have TrailMaster Go Karts assembled and ready for pick up! We are now carrying ICON brand golf carts! Brand new 4 and 6 seater electric golf carts!! NEW with 2 year warranty!! Want to drive a gas scooter but have balance issues? 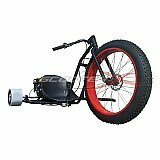 We have 3 wheel trike scooters. Same as a scooter but with 3 wheels! Available in 50cc, 150cc and 300cc. All New ICON Electric Golf Cart Neighborhood Vehicles now available.